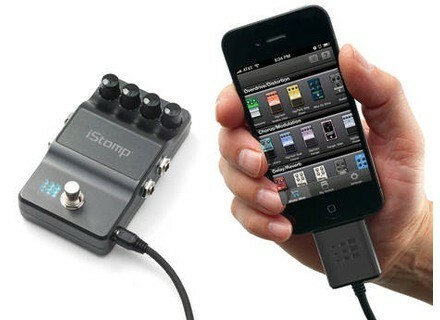 iStomp, Other Guitar Accessory from DigiTech in the iStomp series. Digitech thank their custom after the technical issues they faced in the last few months with free e-pedals for the iStomp. The iStomp can be reconfigured by loading it with any of the 32 e-pedals available in the Stomp Shop app, of which 2 are new offerings. DigiTech has unveiled the iStomp, an iOS-powered guitar stompbox.